Do you have a distracted writer in your life? There’s nothing worse than indecision. It is debilitating, frustrating and exhausting. All those ‘Should I/shouldn’t I’s, ‘But what if’s, ‘Which’s, ‘When’s and ‘How’s cause our little brains to work overtime, jumping from one option to another like demented fleas. And those demented fleas are especially active at night, about 4 o’clock in the morning in my experience. For any normal person that is bad enough, everyone has decisions to make, things to worry about. That is a fact of life. But it seems to me that writers have even more than most. Sometimes those decisions are easy to make and sometimes they niggle away for days (and nights) waiting for a flash of clarity, which normally comes just as you’re negotiating a contra-flow on the M4, or just as you are falling asleep with no pen or notebook on your bedside table. And then, eventually, when all those decisions are made, new ones pop up, like what publisher, what cover, what promotion, what kind of launch party, will anyone buy it. I’m not complaining. Far from it. Being a writer is a wonderful thing. But it’s not the stress free, soft option that some non-writers imagine. All I can say is that if you are a writer then be sure to give yourself a complete break from time to time, and then go back and make those choices. 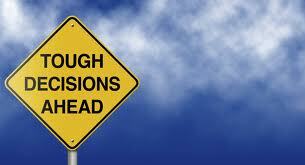 Don’t give in to indecision. Work it out as best you can and press on. You can promise yourself time to improve it a few months later when you are doing your first edit. And don’t feel guilty for neglecting your friends and family – explain what’s going on, if necessary direct them to this article! And if you are a non-writer with a writing friend, relation or partner, then be patient. Exhaustion, distraction, forgetfulness and grumpiness are normal, the writer in your life still loves you and they will rejoin you soon, but just now they have an awful lot on their mind. What a lovely idea, that of a complete break … but the trouble with being a writer (if trouble is the right word) is that it’s a job without conventional breaks. If you work for a company and have, say, four weeks paid holiday per year, you book that out and then start hunting through holiday brochures or web sites. There’s no question that it’s ‘time away’. As a writer, and probably any other freelance worker, ‘holiday’ is simply time you’re not being productive, ergo losing ground financially and creatively. At the back of the writer’s mind – this writer anyway – is the fear, ‘If I spend two weeks on a Greek island, I might have forgotten how to write when I come back.’ However I make sure that my writing doesn’t invade my dreams by having a couple of hours’ switch off time before bed. That is, watching telly. That way, my head is full of other people’s images and ideas. Oh, and thanks for the reminder to take Fido to the vet. I have finally made the appointment to take one of my Fidos for her booster jab! Yes indeed, it hard to take breaks but it’s still important to do it. Julia Cameron calls it refilling the creative well!! Hope fingers get back to speed v soon!